In his BFI Classic, Mark Bould treats Solaris as the product of a genre as well as the work of a skilled film-maker. He teases out Tarkovsky's fascination with Stanisław Lem, on whose novel the film was based, and also considers Steven Soderbergh's 2002 adaptation. Despite being one of Andrei Tarkovsky's most successful films, Solaris (1972) was the one he most disliked. This dismissal of his most generically marked film has often been accepted by those quick to embrace the image of Tarkovsky as a transcendent artist rising above the politics of the Soviet film industry and the trappings of genre to produce personal works of art. Going against such currents, Mark Bould instead treats Solaris as the product of a genre as well as the work of a skilled film-maker. He teases out Tarkovsky's fascination with Stanisław Lem, on whose novel the film was based, and also considers Steven Soderbergh's 2002 adaptation. 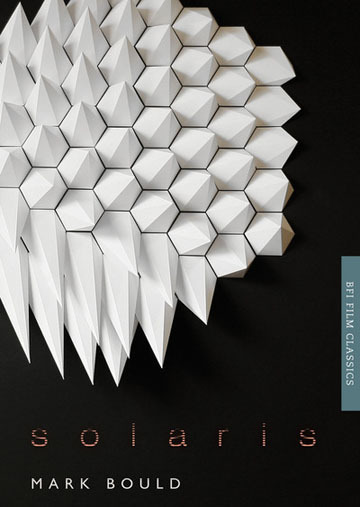 Lively and revealing, Bould's examination situates Solaris within the Russian and global cultures of the fantastic, to which Tarkovsky contributed three major science fiction films. This special edition features original cover artwork by Matthew Shlian.